VATICAN CITY (CNS) — Firming up his presence on social media, Pope Francis will make his debut on the photo-sharing app Instagram, a Vatican official announced. Msgr. Dario Vigano, prefect of the Secretariat for Communications, said the pope’s new account “Franciscus,” will go online March 19 and offer another side of his pontificate through photos. That simplicity translated well for the pope’s Twitter account, which has well over 25 million followers in nine languages. Whether at general audiences or during foreign trips, thousands of people try to take a coveted “papal selfie” with the pope. While it is unlikely the pope will pose for his own selfies, the account will offer viewers a glimpse into the pope’s life and messages. 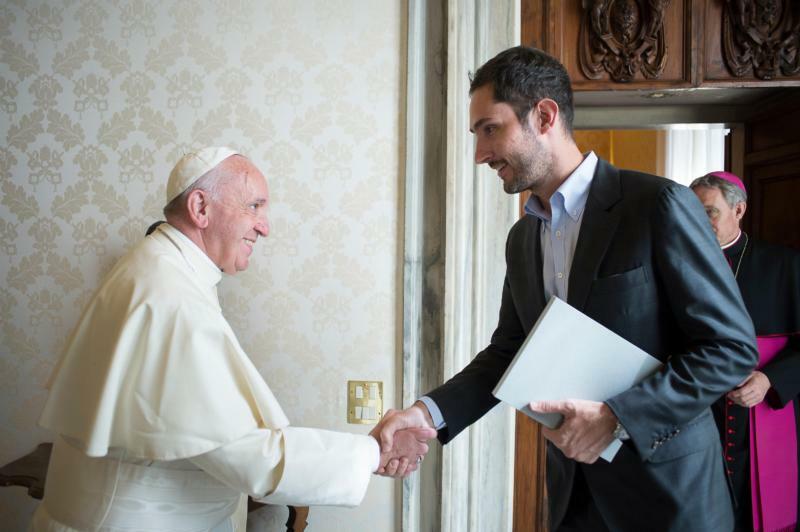 The announcement came just over two weeks after Pope Francis met with Kevin Systrom, CEO and co-founder of Instagram.